Select up to 2 brand new clubs at a time for only $25 each, or 1 iron set for $100. Our U-try program gives you the opportunity to try out a brand new golf club from the game's top brands for 14 days and only $25 a club, or $100 for an iron set. Want to test out two different brands, or two different configurations? No problem. 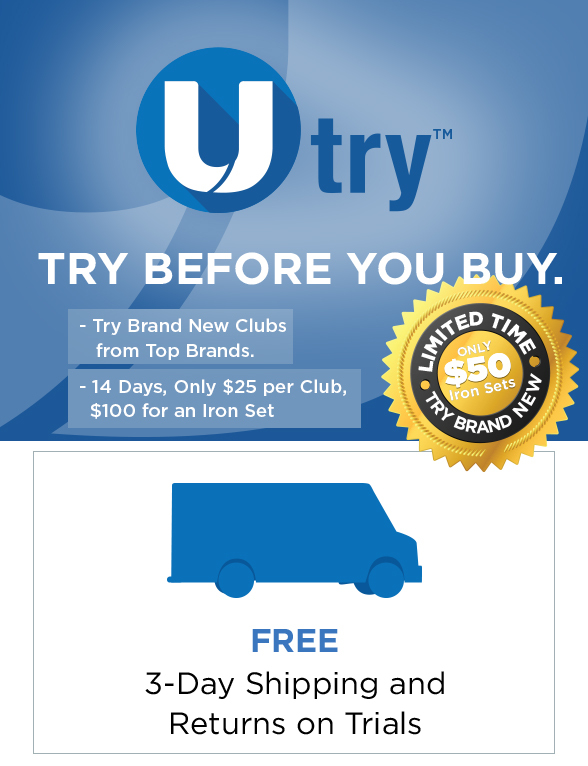 U-try lets you try out up to 2 clubs for $25 per club, or 1 iron set for $100.